In the eCommerce world, the success of your business largely depends on the credit card processing service that you provide to your customers, whether it's a travel merchant account or any other high risk merchant. That is why, as the best merchant account provider, EMS Business Solutions offers you the perfect solution for all your high risk credit card processing needs. Merchant account providers must provide merchant account holders with high risk credit card processing features along with tools for online credit card processing services that will help not only the customers in credit card processing but will also make accepting credit card payments a lot easier for the merchants. This in return will boost sales and earn profit. Boost in Sales - once merchants start accepting credit cards online, with our travel merchant account, their sales tend to increase ten-fold. The Travel industry is considered a high risk business due to the added risk factors of potential chargeback, refunds, high volume sales, fraud, and more. Merchants involved in this business find it hard to get accepted for a travel merchant account by banks and credit card processors. However, at EMS Business Solutions we understand the risks involved and that is why along with a travel merchant account we also provide our clients with the best online credit card processing solutions and fraud protection. Online Credit Card Processing - with our online credit card processing facility merchants are able to process credit cards online. Now going to the bank to deposit checks is no longer an required for our high risk merchants. Real-time Processing - our travel merchant accounts have the advantage of providing merchants with real-time payment processing. Online Shopping Cart - we also provide online shopping cart solutions for your high risk online website. Risk Management and Cost Effective Solutions - we provide our customers with risk management techniques and cost-effective solutions for our travel merchant account clients. 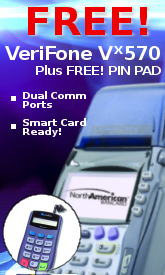 Secure Processing - now merchants no longer need to fret about security and safety. We provide secure SSL servers and reliable state-of-the-art fraud protection tools. No High Volume Restrictions - merchants can expand their business without any worry about chargeback and refunds with our travel merchant account. Credit Card Acceptance - we accept all major kinds of debit/credit card, be it MasterCard or Visa! Online Reporting - our travel merchant account holders can view transaction reports online. Reliable Virtual Terminal and Payment Gateways - the virtual terminal and gateways provided by EMS are secure and reliable with topnotch protection. Multiple Currency Processing - Our basic feature is the ability to process different kinds of currencies like the US dollar, Euros, Pounds, Canadian Dollars, Australian dollars, Yen etc. Electronic Payment Processing - we offer processing services not just for credit but also debit cards and bank wire transfers. 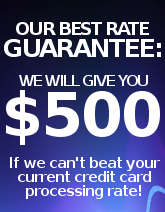 Lowest Rates - we offer reliable travel merchant accounts at the lowest available rates with the best security. 24/7 Technical Support - our customers are given a 24/7 technical support and customer care.